Baithal Ravi Restaurant is a true reciprocal of another Pakistani restaurant with almost the same name in Satwa region. As this bistro offers more luscious and mouth-watering Pakistani dishes as compared to the one in Satwa. Although, the menu of both the restaurants are almost similar but artistic work of Baithal Ravi Restaurant’s chefs has enabled it to make its mark. Therefore, today Baithal Ravi Restaurant enjoys a decent base of loyal customers, who not only visits this place quite often but also avail its other services as well like free home delivery and outdoor catering for events and functions. Moreover, the customers can enjoy all their delicious varieties at very affordable rates. Peshawari mutton karhai, biryanis, mughlai dishes, vegetable dishes, fry specials, grill dishes (include prawns too) and Chinese specialities are a part of Baithal Ravi Restaurant’s menu as well as regular hot and soft drinks. The unique blend of spices and sauces give Baithal Ravi Restaurant’s karhai an edge over its competitors, as they are way better in taste and rich in flavor. Since it serves both veg and non-veg dishes, therefore both types of customers come to this eatery. These customers also enjoy these Pakistani delicacies at home or a private place, aside from dining in through Baithal Ravi Restaurant’s free home delivery service. Outdoor catering is another pleasing service of this eatery which can give your function or event the kind of food that people can expect from a fine Pakistani restaurant. To view the full menu of Baithal Ravi Restaurant, click here! 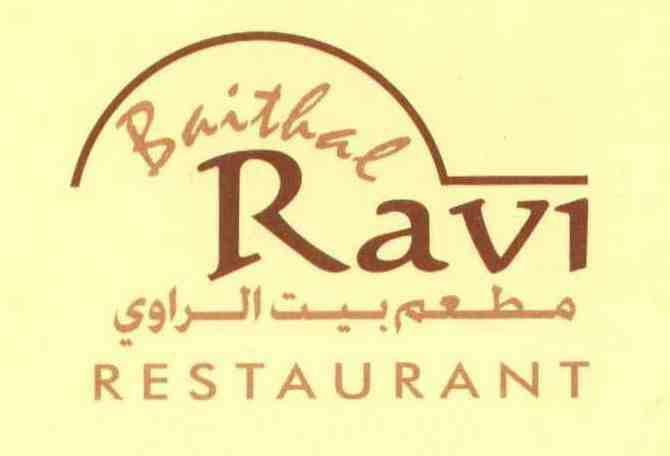 Bur Dubai branch of Baithal Ravi Restaurant opens daily and it serves breakfast, lunch and dinner during 4:00 am till 3:00 am. Al Musalla Road, Bur Dubai, Dubai, United Arab Emirates. Al Fahidi Metro Station 1 is 210 meters away from the Baithal Ravi Restaurant and it will take about 3 minutes to bridge this gap between these two spots on foot. To do so, patrons need to head in the northeast direction on Al Mankhool Road towards Khalid Bin Al Waleed Rd/D 79, after exiting from this metro station in order to locate the destination on this road. With bus number C7 you can arrive at the nearest bus stop of Baithal Ravi Restaurant, which is Musallah Road, Dubai 2 - Dubai. This bus stop is hardly 16 meters away from Baithal Ravi Restaurant and roughly 13 seconds walk. 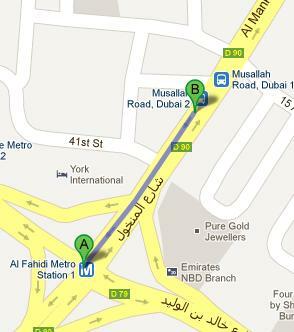 If a person, head southwest on Al Mankhool Road towards 41st Street from this bus stop. Check map for directions.